Charged with teaching boating safety to American citizens, the Coast Guard Auxiliary's role is much broader in action. On paper, the Coast Guard Auxiliary’s mission appears to consist of a lot of public relations. After all, they are recognized as uniformed volunteers who devote their time and energy each year to create and sustain a safe, educated boating public via boating safety courses and vessel safety examinations. 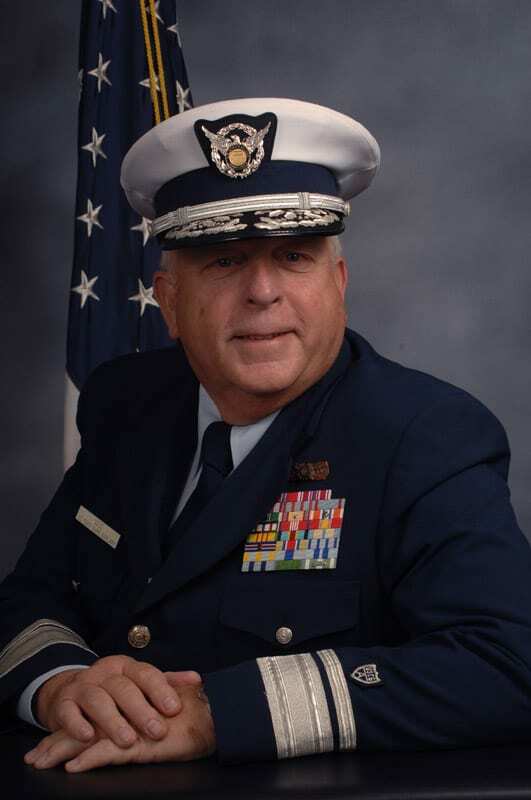 National Commodore James E. Vass, U.S. Coast Guard Auxiliary. On the water and in the air, the mission changes dramatically. Auxiliarists perform safety patrols, search and rescue (SAR), and environmental response, and serve as public affairs specialists and communications watchstanders. Some choose to serve as unit ombudsmen, who act as a liaison between a Coast Guard command and the families within it; chefs (aka AUXCHEF), who fill in for food services personnel at smallboat stations or aboard cutters; and Coast Guard Academy Admissions Partners helping to recruit young people to become future Coast Guard officers. Yet others deploy aboard Coast Guard and U.S. Navy ships serving as interpreters in Africa, Asia, and other parts of the world. 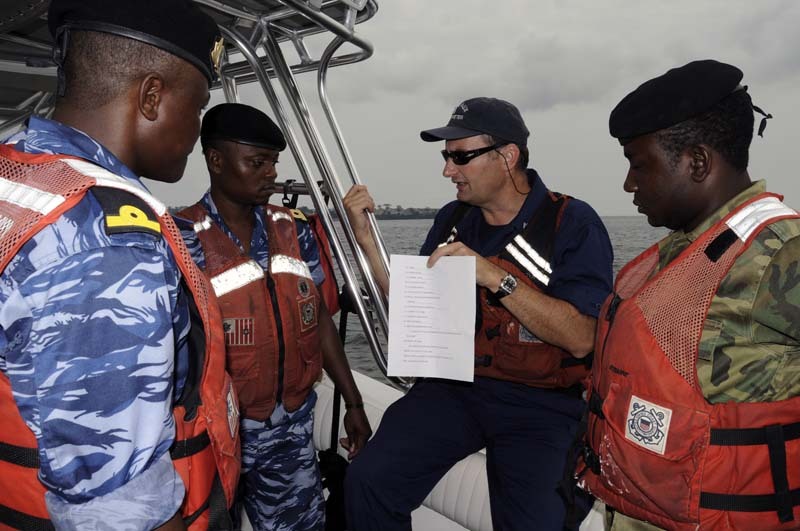 Members of the Coast Guard Auxiliary assisted in Operation Unified Response, the response efforts to the Haiti earthquake, by filling a variety of roles. Auxiliary teams collected information from various communications and Internet sources and then passed the information to command centers where rescue teams could be dispatched. These volunteer efforts, through innovation and technology, ultimately helped save lives. Auxiliary members also responded to the Deepwater Horizon incident in the Gulf of Mexico, serving in command centers, Joint Information Centers, as uninspected passenger vessel inspectors, media escorts, and patrolling docks and shorelines. Others flew over-flight missions, rescued dolphins, and deployed aboard Coast Guard vessels. These are just a few of the ways auxiliarists enhance the safety and security of citizens, ports, waterways, and coastal regions as well as the well-being of Coast Guard members. While the auxiliary’s appropriated funds budget hovers around $17 million annually, its return on investment adds up to $170 million. “Some of these volunteers are people you probably couldn’t afford to hire because of their business experiences, their educational backgrounds,” said National Commodore James E. Vass. From January to September 2011, the Coast Guard Auxiliary has taught boating safety to more than 43,000 people. Courses range from eight hours of About Boating Safety to the 13-lesson course, Boating Skills and Seamanship or the Weekend Navigator course. There are also classes focusing on paddle sports as well as classes for children. Courses are taught in classrooms in cities across the United States. Selling boating safety courses has been a major source of revenue during the Auxiliary’s 72-year history, but that doesn’t automatically ensure the trend will continue. In fact, Vass is seeing potential signs of troubled waters ahead. “Because the way people study and learn has changed, there’s an ever-decreasing income flow from this method of sales and return,” he noted. Ever vigilant, Vass appointed a panel under the leadership of a former educator to examine everything from how the Auxiliary educates the public to how it trains its own people. Nothing is sacred or beyond examination, and the task is so important, Vass gave the group until the 2012 National Conference in San Antonio, Texas, to make its recommendations. Looking outward, those changes could mean Web-based classes, webinars, or even smart phone applications. The main goal is to rise to the challenge that new regulations present. For instance, Texas recently passed a law stating every person born after 1993 must have a boater safety course to operate a boat. According to Vass, the new status means Texas Parks and Wildlife (the agency in charge of compliance) now has the budget burden for the training. “It gives us an opportunity to do a great job of picking up the slack,” said Vass. Finding new funds is important. The Auxiliary is funded both by the Coast Guard and private contributions. 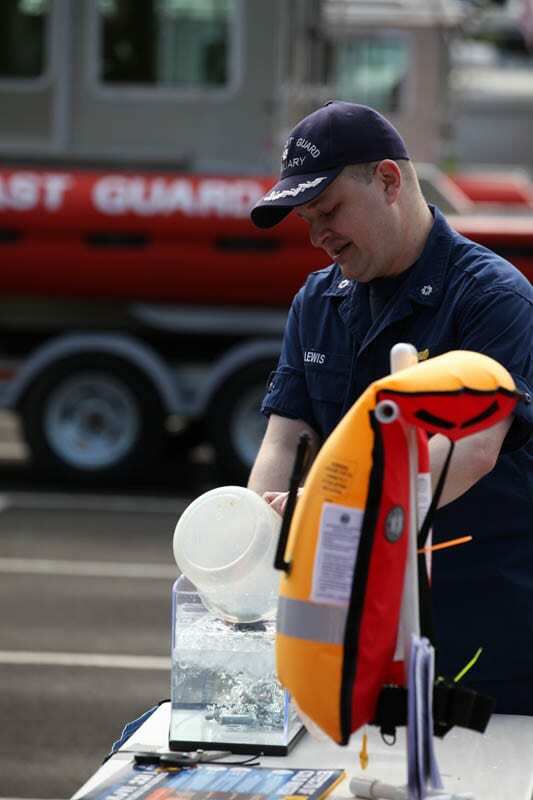 People can contribute: everything from traditional volunteering and cash donations to “liking” a Facebook page that helped the Coast Guard Auxiliary Association win a grant contest for $25,000 – money that went toward creating a classroom educational kit to supplement public boating lessons. The association, a 501(c)(3) charitable organization, provides outreach and educational products for the Auxiliary. The Association facilitates training objectives; supports the national board and staff; produces outreach materials for the public education program, the waterway watch program, and the vessel safety check and recreational boating safety visitor programs. A key activity of the Association is the pursuit of partnerships and alliances with other organizations that will enhance the Coast Guard Auxiliary’s programs. Some of these alliances have financial or other benefits to the Auxiliary and its members. Performed approximately 77,000 hours of public affairs activities, not including the hours devoted to support, education, and training. Vass would like to see that internal education and training expanded still further in the form of learning via personal relationships. There’s nothing wrong and everything right with dropping in to a local Coast Guard station and asking for hands-on advice. “I’ve never gone out with a Coast Guard person that I don’t learn something from them,” Vass said, “and it gives them the ability to learn my capabilities, too – like the fact my boat will run in 12 to 14 inches of water while theirs require quite a bit more.” And in that personal exchange, the Coast Guard now knows firsthand where to turn should it have a responsibility in a shallow bay in Texas. With the Auxiliary’s 31,000 members, 3,000 boats, and 200 aircraft, that’s an extensive payoff for some friendly networking. This article was first published in Coast Guard Outlook: 2012 Edition.